When is the right time to Invest? When the right time to enter into realty is is a kind of intuitive decision and can’t actually be described in words- it is more or less based on judgment considering the past facts. As per the present scenario, it would be good for the small investors to wait for around 8 to 1o months if they plan to invest in certain areas within larger cities like Mumbai since a correction is expected there in the midterm. However, if planning to invest in other cities, the right time would probably be now. Since this view is always subjective, one must study the local market and inquire into the expected dynamics and prevalent there. A proper measure is affordability. 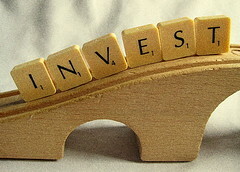 Since realty is not a one day investment, one should plan well his wealth and then invest into the market. Also, taking a back seat and using the policy of ‘wait and watch’ should be a game of experts, who on one hand hope for the profit, do have the bravery to bear loss, if any.